The law recognizes that while the stock market can be volatile and a company’s stock value can rapidly change as the result of a number of factors, there are certain unfair market practices that would give those with special knowledge a marked advantaged over the general public. As a result, insider trading is a Federal white collar crime and those convicted can face lengthy prison sentences. The United States government has authorized the Securities and Exchange Commission (“SEC”) to carefully monitor the stock market in order to detect fraud, market manipulation or other unlawful acts. One of the most common financial crimes involves insider trading. It is often the case that corporate insiders such as officers, directors, employees or other shareholders may be privy to certain knowledge that would affect the value of a company’s stock. In certain cases, trading on this knowledge can be illegal and can lead to criminal charges. Employees, officers and board members are not prohibited from owning or trading in stock of their own company, as long as disclosure rules are followed and the trade is properly reported to the SEC. Insider trading becomes illegal when a person breaches a fiduciary duty and buys or sells a security based on material information not generally available to the public. In some cases, insider trading can involve offering or receiving a tip from someone who has inside knowledge about a stock. In these cases, both the person making and receiving the tip can be prosecuted for violating the insider trading statutes. A person who steals or otherwise unlawfully obtains information from their employer and then uses that information as a basis for a security sale or purchase can also be prosecuted for insider trading. To prove that a defendant is guilty of insider trading, a prosecutor must be able to prove that he or she purchased or sold a security, that at the time of the sale or purchase the defendant was in possession of private information, that the information was not known to the public and that the information was material. Information is considered to be material when it is something that the average investor would want to consider when making a decision about whether he or she should buy, sell or hold a stock or other security. Examples of information that is considered both private and material include unreleased positive or negative earning statements, plans or strategies, capital investment plans, news of an impending merger or acquisition, news of a new contract or loss of a major contract, news of an impending product release, positive or negative projections, news regarding the replacement or removal of a board member or officer or news regarding litigation involving the corporation. There are a number of defenses that may be raised in response to allegations of insider trading. 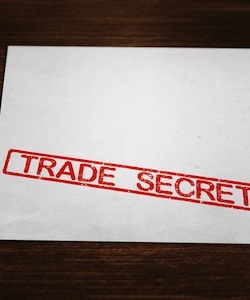 Under the SEC rules, trades made by an insider pursuant to a preexisting contract or plan for future trading are permissible. If the defendant can establish that his or her trades were conducted pursuant to one of these preexisting agreements, he or she would not be criminally liable. Additionally, if the information at issue is not considered “material” or was public information, the defendant would not be guilty of this offense. A defendant would not be guilty of giving an unlawful tip when insider information is inadvertently overheard by another party who then makes a trade based on this learned information. While the unknowing “tipper” would not be criminally liable, the person acting on this learned information can be prosecuted for insider trading. A person who is convicted of insider trading can face both civil and criminal penalties. The defendant may have to pay treble damages on whatever amount was gained unlawfully as a result of the insider trading. In addition, a defendant who is convicted of insider trading can be sentenced to serve up to 20 years in a Federal prison and would have to pay substantial court fines and civil damages. If you or a loved one are under investigation for insider trading, it is critical that you consult with a Los Angeles Criminal Defense Lawyer right away. As a former Deputy District Attorney with over 14 years of prosecutorial experience, Los Angeles Criminal Defense Attorney Michael Kraut understands how to effectively defend those accused of insider trading and other white collar crimes. For more information about Los Angeles insider trading, contact Los Angeles Criminal Defense Attorney Michael Kraut at the Kraut Law Group located at 6255 Sunset Boulevard, Suite 1480, Los Angeles, CA 90028. Mr. Kraut can be reached 24/7 at 888-334-6344 or 323-464-6453.